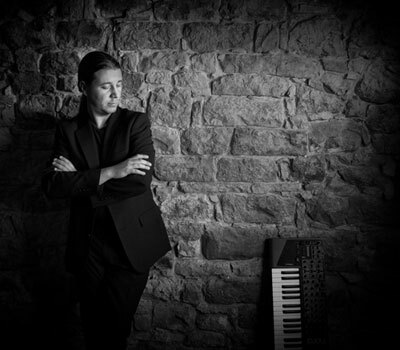 DOVER, NJ, March 19, 2019 - This March, Casio America, Inc., a leading innovator of electronic musical instruments, is excited to spotlight composer, arranger, performer and studio musician Kristian Terzic, as part of its Artist Program. Casio’s Artist Program was created with all levels of musicians in mind as it aims to support both aspiring and established performers. Through providing multiple levels of support including the best tools and technology, Casio enables artists to create and perform while on the go or at home. “Kristian is incredibly talented, and we are proud to be a part of his diverse and creative musical journey," said Stephen Schmidt, Vice President of Casio’s Electronic Musical Instrument division. “His aptitude and dedication to music is infectious and we couldn’t be more pleased to provide him with tools he can use to continue to create and perform great music. We can’t wait to see what he accomplishes next!" Currently, Terzic is working on his second instrumental jazz-fusion album, set to release later this year, in collaboration with world renowned artists including Simon Phillips (Toto, Jeff Back, Hiromi) on drums, Hadrien Feraud (Chick Corea, Lee Ritenouron, John McLaughlin) bass, Mike Miller (Chick Corea, Boz Scaggs, Gino Vanelli) on guitar and Giulio Carmassi (Pat Metheny, Oz Noy, Steve Gadd) as multi-instrumentalist. Overall, Terzic uses a combination of Casio instruments for composing, arranging, performing and more. Key Casio instruments in his collection include the PRIVIA PX-5S and PRIVIA PX-560M stage pianos, the XW-P1 synthesizer, MZ-X500 music workstation and GP-500 Grand Hybrid digital piano. “Casio keyboards are special to me because they meet all of my needs and criteria," said Terzic. “The PRIVIA PX-560along with my other Casio instruments are an essential part of my work. They are very light, compact and portable, and offer a variety of capabilities that make composing, arranging and gigging a breeze." For more information about Kristian Terzic and his upcoming projects, please visit www.kristianterzic.com. Terzic joins Casio’s remarkable roster of artists that includes Alicia Witt, The Killer Dueling Pianos, Nick Smith, Darrell Lavigne, Steve Weingart and more. For additional information about Casio’s Artist Program or portfolio of electronic musical instruments including the Privia series, please visit www.CasioMusicGear.com.